Today's stitch over a single canvas thread. I think it’s pretty cool you can do this much over a single canvas thread. Just one canvas thread. The stitched sample uses a green Neon Rays on the edge of a white column on a Santa from a Melissa Shirley tree skirt. 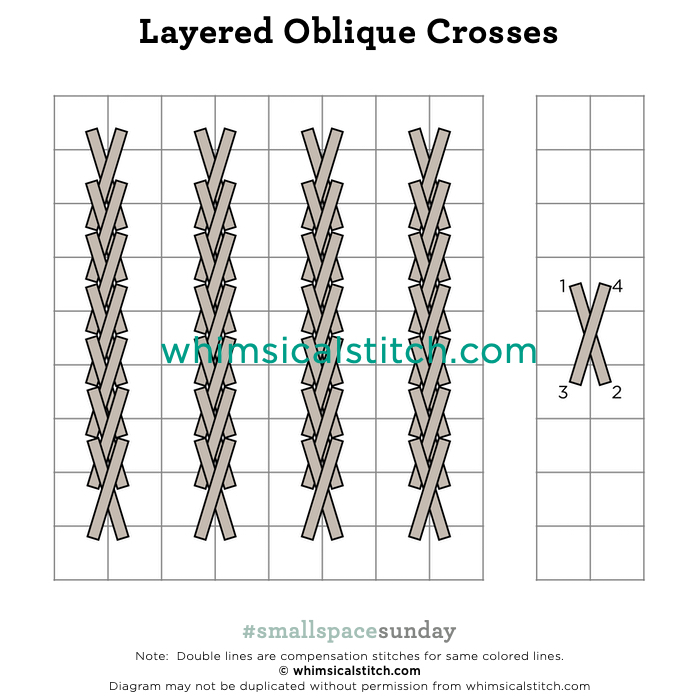 Starting at the top of a column, add an oblique cross stitch (over one row and up two), starting the next oblique cross stitch one row below, with the top of the stitch ending in the skipped row of the previous stitch. My recommended sequence for the individual oblique crosses is included on the right of the diagram. To be honest, I had forgotten about this stitch. I stumbled across it looking for something else (naturally). The texture and the contrast against the white caught my eye. Voila! I have a blog post. (Seriously…that happens way more than you realize). It would be a great addition to any striped area, such as a wall, floor, roof, clothing…the list is really quite endless. I hope you have the perfect spot for this stitch! Enjoy! 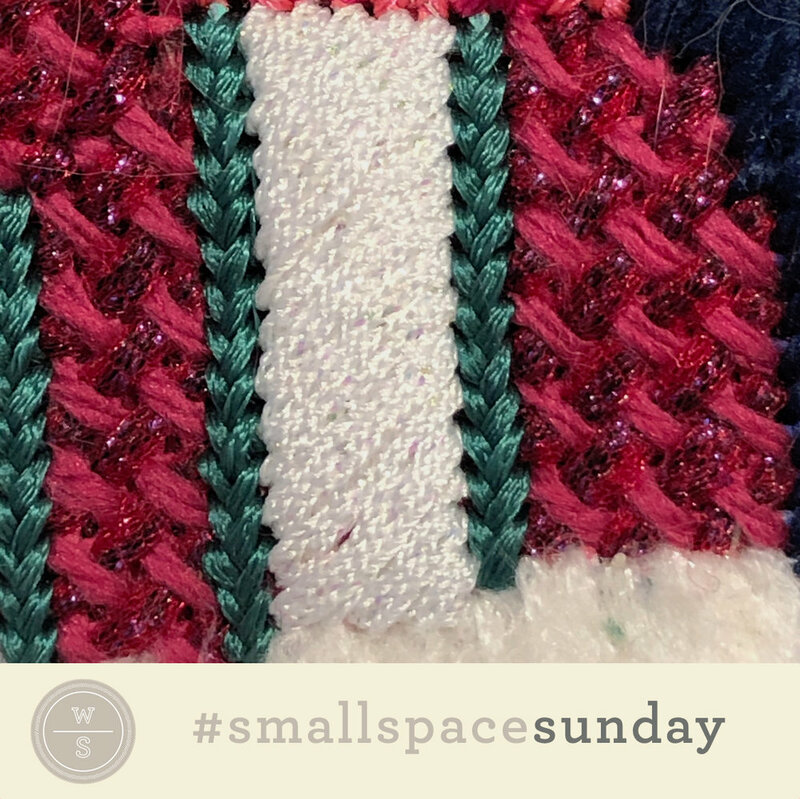 Happy #smallspacesunday!